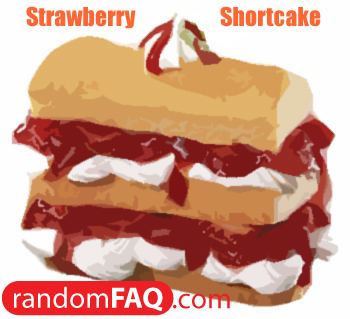 The Native Americans were known to make a corn bread that they infused with strawberries. At some point the recipe spread from the natives to the settlers and was mixed with traditional European and Colonial American food staples; such as shortbread (butter cookies). Some time around the 1850s, the first recipe for strawberry shortcake was written down and officially adopted into American culture.